Tired of the same old store-bought Halloween masks? Here's an alternative…one you make yourself. Make it scary or make it pretty. 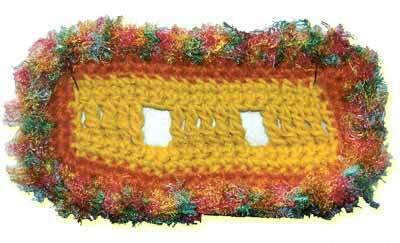 Below are suggestions about the type yarn to use for this fun mask, but it is also an ideal project for scraps of yarn. 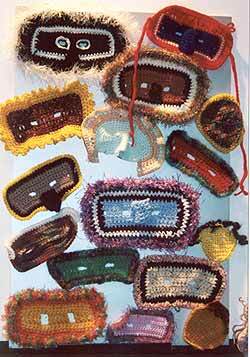 The more colors and variety of yarns; the more interesting the mask will look. Have fun decorating! Foundation: Ch 20 with Color A. Row 3: Ch 3, skip first sc, dc in next 4 sc, ch 3, skip 2, dc in next 5 sc, skip 2, ch 3, dc in next 5 sc. Turn. Row 4: Ch 1. sc in next 5 dc, sc in each of chs in the ch 3, sc in next 5 dc, sc in each of the chs in the ch 3, sc in next 5 dc. Turn. Row 6: Ch 1. Sc in each sc across. Fasten off. Round 1: Color A. Slip st in the middle of the foundation ch. Sc in same st. Note: At the corner stitches place 2 sc. Place 2 sc in dc on the sides. Sc in each stitch around. Join and fasten off. Round 2: Color B. Slip st in same stitch as join. Note: At the corner stitches place 2 sc. Sc in each st around. Join and fasten off. Round 3: Color C. Slip st in same stitch as join. Round 4: Color D. Slip st in same stitch as join. Note: At the corner stitches place 2 dc. Dc in each st around. Join and fasten off. Nose: Ch 9 with Color A. Row 1. Sc in 2nd ch from hook. Sc in each sc across. Turn. Rows 2- 6: Ch 1. Sc in 2nd ch from hook. Sc in each sc across. Turn. Note: At the end of Row 6, leave a tail about 8 inches. This will be sewn to the face. 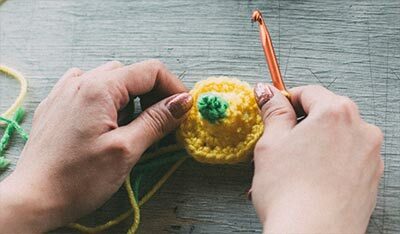 IF YOU ARE USING BEADS: They must be threaded onto yarn before beginning chain. 1. Textured yarns may be added at this point. 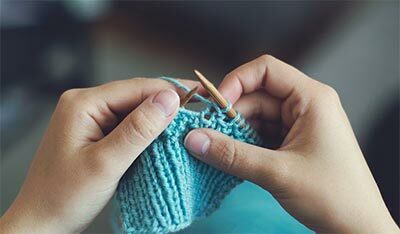 You may join and crochet in as many stitches as you choose. 3. You choose how many rows you want to add to the mask. 4. The nose may have to be tacked to stay in place.